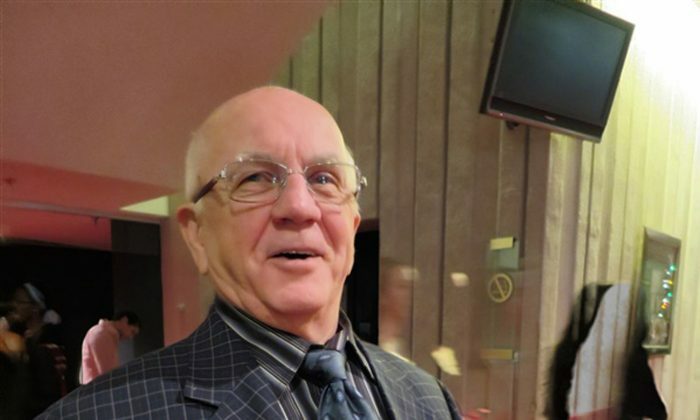 MONTREAL—To say that Jacques Côté enjoyed the classical Chinese dance presented by Shen Yun Performing Arts at Place des Arts on Jan. 11 is an understatement. Mr. Côté is a former gymnast and gymnastics coach who once led a Canadian national team. His son was a national figure skating champion in the junior pairs category and represented Canada at the World Junior Figure Skating Championships. The skill and athleticism of the Shen Yun dancers highly impressed him. “It’s fantastic, they are very flexible. What impresses me is that there’s no noise—they jump and they take delivery smoothly. You see them jump, but you do not hear any noise. It’s so sweet, not just sweet, it is tricky,” he said. Mr. Côté said he wasn’t aware that gymnastics originate from classical Chinese dance, an ancient art form that includes leaps, spins, flips, and tumbling—moves that were popularized in the west as gymnastics and acrobatics, but came from classical Chinese dance. According to the Shen Yun website, it is one of the most rigorous and expressive art forms in the world. “It reminds me of old memories, it shakes me. It’s wonderful,” Mr. Côté said. Shen Yun was formed in 2006 by a group of leading classical Chinese artists who came together in New York with one wish: to revive the true, divinely inspired culture of China and share it with the world. For about six months each year, the group performs in some 100 cities in 20 countries.